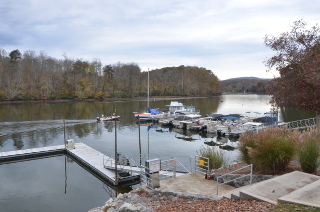 We have 3 different boat slips in our Lake Chickamauga Marina to meet your needs. 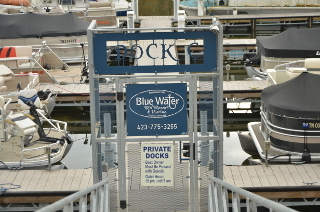 Our uncovered deep water docks offer water and electricity at no charge with private gate entry. 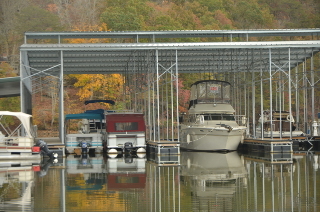 The covered deep water docks in our Lake Chickamauga Marina offer water and metered electricity (110 outlet at no charge), free WiFi, and cable TV. 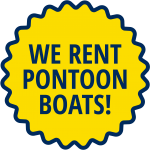 The summer breezes under the shaded cover provide a great boating experience. Rental Rate: Between $275-450/month dependent on size. The Pavilion has seating for up to 75 people with beautiful views of the lake and is the perfect place to host a private party or reunion. Available only to our resort guests. We recently stayed at Bluewater Campground for about ten days and absolutely loved it. I had arranged ahead of time with the Campground Manager that twelve motorhomes would be in my group! We also wanted to be together in a group since some are handicapped. Everything was perfect! The views, hospitality, all the ammenities were great! Treat your self and try this little piece of Paridise tucked away in a wonderful little town! Tell them Muffin sent you! This is a great place to stage your motorcycle tour of the Trail of Tears, Fall Creek Falls, Tale of the Dragon, Cherohala Skyway and the Smoky Mountain area. Clean, quiet, and convenient. Dayton, TN is a nice little town with a lot of historical significance, some good restaurants, antique and gift stores without typical tourist traps. Pretty and scenic! One of the nicest campgrounds we've had the pleasure of staying in the last three years. Everything about this place is nice from the grounds, restrooms and laundry, to the great people that own and run this place. Can't say enough good things about staying here. That said, the road leading to the campground is tad intimidating, but once you're here you'll be glad you made the choice. As an aside, the fishing is excellent as well.